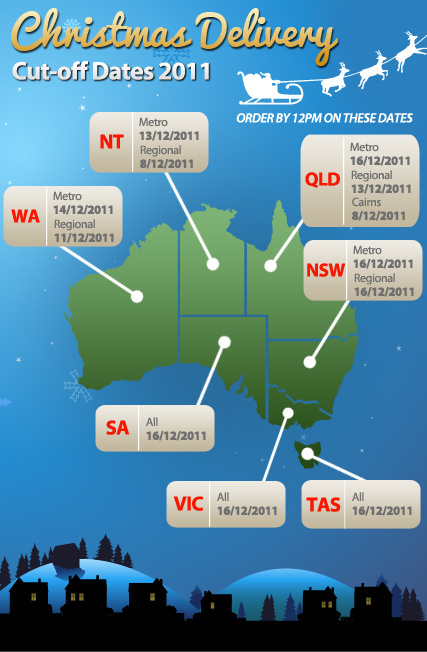 Cut-Off Dates for Christmas Delivery! *Please note, Cairns/NT cut-off date is the 8th December at midday. *Some bulky/large items may not arrive in time for Christmas. Previous Previous post: COMING UP NEXT WEEK ON CATCH! Next Next post: Happy holidays from the team at CatchOfTheDay!